We offer high quality Promotional Signages. These promotional signages are used to boost the corporate image of our clients and promote their products. 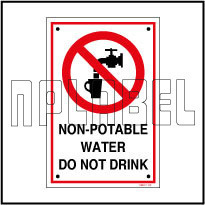 These promotional signages are available in various colors, designs and sizes to meet the diverse needs of clients. We also custom design these signages as per the requirements of our clients. We are one of the leading Kiosk Manufacturer, Suppliers, Importer in India. 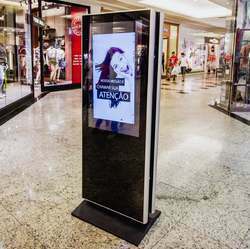 We design and produce Custom Kiosks to meet the very special requirements of our customers. These are created in PP and other non terrible plastics these are mounted on a rigid molded PP frame for extra strength. Can be used both indoor and shop fronts. Our scrolling signs are an innovative, state-of-the-art back-lit advertising display.They features the ability to continuously scroll through a series of high-resolution high-impact full-color printed posters. Indoor Backlit Scroller 5-10 Slides the moving display equipment is an innovation in the world of information boards. As one of the prominent manufactures and suppliers, we are offering ACP Signage to our valued clients. These ACP Signage’s offered by us are widely acclaimed for its superb look and amazing appearance. Products offered by us are fabricated from Premium quality raw materials to offer best products to our clients. Our customers can avail these ACP Signage’s at most economic rate. We offer Promotional LED Mall Signage. Being one of the trusted firms in the industry, we are highly engaged in providing a unique range of Advertising Sign Board.